Camarillo, California – City Manager Dave Norman has announced the appointment of Genie Wilson to the position of Director of Finance for the City of Camarillo following an extensive recruitment. 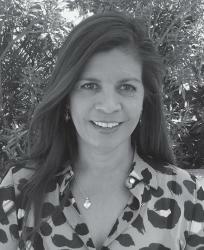 Ms. Wilson, 54, is currently the Director of Finance for the City of Goleta. Previously, she was the Treasury Manager for the City of Santa Barbara, and the Chief Financial Officer and Director of Finance for the City of Temecula – positions she had held for seventeen years. She began her career working for public sector auditing firms, where, as a Certified Public Accountant, she performed audits of various public agencies. Ms. Wilson will start her new position on October 17th.